Never-ending practices, heavy weightlifting and intense conditioning—training to become the best is no joke. However, the athletes you compete against are not your only opponents. Cortisol, a steroid hormone released by the adrenal gland, is working against you to offset your gains. 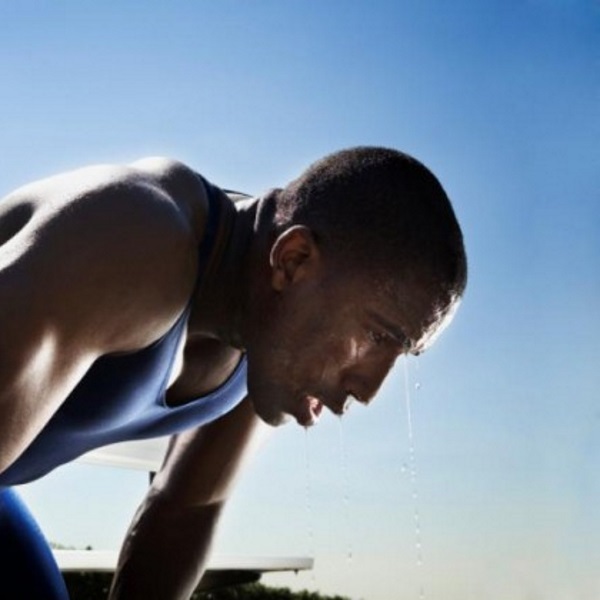 Unfortunately, the people at the highest risk for excess cortisol are athletes. So they must try to control the body’s release of it. The following methods will keep your levels moderate so you can continue making gains. If the right nutrients aren’t present during your workout or post-workout, you will not recover fully. To delay cortisol buildup in the body requires insulin levels to spike, and this requires consuming liquid carbohydrates. When taken in liquid form, carbs are stored as glucose, which the muscles use as glycogen, thereby shifting the body from a catabolic state to an anabolic state. This is where the body takes smaller molecules and creates larger ones. Studies have found it is most effective to consume carbs and protein together post-workout in a 3:1 or 4:1 ratio. Chocolate milk is a 3:1, which is why many are touting it as the best recovery drink. Light sleep. The earliest phase of sleep, when you’re not fully asleep. Like when you’re watching TV and keep waking up every time your head falls forward. Deep sleep. This is the most important phase of sleep. You’re out cold. This is when human growth hormone (HgH) is released and your body repairs itself. REM (rapid eye movement) or dream sleep. Again, you have a lot of brain activity. Waking up in this phase, you might remember dreams, some good, some not so good. You may experience body twitches in his phase as well. A great tool to help you track your sleep is the Sleep Cycle App for the iPhone. Or you can simply figure out when you would like to wake up and set your alarm to wake you during light sleep or REM sleep. Performing various rounds of light conditioning has been proven to speed up recovery. As we go about our day performing activities, or after repeated bouts of exercise, our bodies produce carbon dioxide and a metabolic byproduct called lactic acid, which cause muscles to become sore and weak. Performing static stretching at this time lengthens your muscles and releases “feel good” hormones. Keeping yourself hydrated throughout the day is the easiest and fastest way to recover. Water flushes out toxic waste produced by the body and restores water lost in muscle tissue. It also helps transport nutrients and regulates your body temperature. Aways have a bottle of water handy, especially if you are training outdoors. I recommend water bottles that are BPA-free.